Every year, we hear statistics about how many people plan to travel for the Thanksgiving holidays. The numbers may lead you to think that roads and airports are going to be jam-packed across the country as people scramble to get to their holiday destination. But is that always the case? New data from Orbitz shows that not all airports are crowded equally. In fact, Bradley Airport in Windsor Locks is among the least busy in the country . According to the Orbitz Thanksgiving Insider Index, only four other major airports will see less passenger traffic between Nov. 21 and Nov. 26. In fact, researchers say Bradley is a perfect option for people who don't want to deal with airports in Boston and New York. 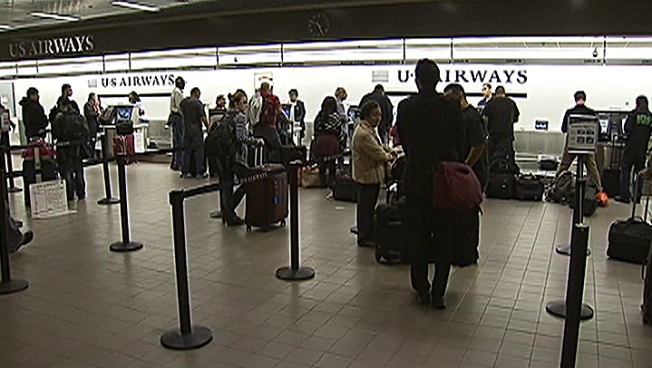 JFK, LaGuardia and Logan all rank in the top 10 busiest. "We talk all the time about using alternative airports when it comes to finding a better price, but those tertiary options can also be a huge time saver when you are traveling during peak periods like Thanksgiving," said Jeanenne Tornatore, senior travel editor for Orbitz.com. No matter where you're flying from or to, there are days that will be busier than others. As you might expect, the Wednesday before Thanksgiving will be the peak departure day and will see twice as many fliers as Thanksgiving Day itself. On return trip, flying on Monday should lead to fewer headaches than traveling on Sunday. By the way, O'Hare in Chicago ranked as the busiest airport, while Buffalo's Niagra International came in as the least busy.